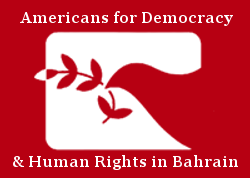 Americans for Democracy & Human Rights in Bahrain (ADHRB) first started its INTERPOL program in May 2016, and has worked on a handful of cases, including multiple successful requests for deletion as well as certificates for multiple individuals who believed that they may have been subjected to a Red Notice. INTERPOL (the International Criminal Police Organization) is an independent international organization consisting of 192 member countries. While INTERPOL is a policing organization, INTERPOL itself has no powers of arrest or enforcement. Rather, each state’s law enforcement officers must determine whether to arrest individuals in their territory for alleged crimes. INTERPOL will however issue Red Notices and diffusions. A Red Notice is a request from INTERPOL to all member states to take the person identified into custody and, ultimately, deport them to the requesting country. A diffusion is a similar request prepared by an individual country that INTERPOL disseminates among its partners. Bahrain, and other Gulf Cooperation Council (GCC) countries, have abused INTERPOL mechanisms to target and suppress human rights defenders, activists, and other individuals living abroad, as well as to obtain the extradition of individuals in order to punish them with prison sentences and other forms of abuse. As Bahrain does not publish this information on INTERPOL’s website, many individuals only discover a Red Notice or diffusion when they are detained attempting to travel. A notable case of Bahrain’s abuse of the system is that of Hakeem AlAraibi, a semi-professional footballer who formerly played on Bahrain’s national team. Hakeem was tortured by Bahraini authorities in 2012 and convicted in absentia on the basis of coerced confessions in 2014, when he fled to Australia and sought asylum. He was granted refugee status there in November 2017 and resumed playing football for FC Pascoe Vale of Melbourne. As a refugee, Hakeem should not have been subjected to an INTERPOL Red Notice. However, he was arrested in Thailand in November 2018 on the basis of a Red Notice. When this was brought to the attention of INTERPOL, the Red Notice was promptly deleted. Hakeem’s case is emblematic of other possible victims of Bahrain’s, and other countries,’ abuse of INTERPOL mechanisms, including Red Notices and diffusions. Cases like Hakeem’s are precisely why ADHRB instituted an INTERPOL Deletion Request Program. INTERPOL has a process for removal for Red Notices and diffusions included in the Commission for the Control of Files’ (CCF’s) Statute. Article 3 of INTERPOL’s Constitution provides that the organization will not be involved in cases of a “political, military, religious or racial character.” INTERPOL will also consider the political nature on a case-by-case basis. Therefore, if an individual has been included in the INTERPOL database for his or her conviction of a crime that was based on political beliefs or actions of the individual, their inclusion on the list can be challenged, even if the charges are not expressly political. Another consideration the Commission may make is whether an individual is recognized as a refugee by another country, or seeking asylum on political grounds or on the grounds of previous torture in the country which issues the Red Notice or diffusion. Since ADHRB started its INTERPOL program, there have been several successful Red Notice deletions for Bahrainis and one successful removal for an individual from Saudi Arabia. Additionally, certificates have been issued for multiple individuals who believed that they may have been subjected to a Red Notice, stating that they are not within INTERPOL’s data systems. This certificate enables individuals to travel internationally, where the Red Notice or a fear of a Red Notice previously prevented this. ADHRB hopes that these cases will encourage others who believe that they may have Red Notices against them to seek assistance. ADHRB’s INTERPOL Deletion Request Program is a way to empower victims and let their voice be heard to ensure that authorities will not get away with abusing INTERPOL mechanisms. ADHRB has had success through its INTERPOL program thanks to a strong partnership with victims who were responsive and provided a good deal of information and evidence of abuses.